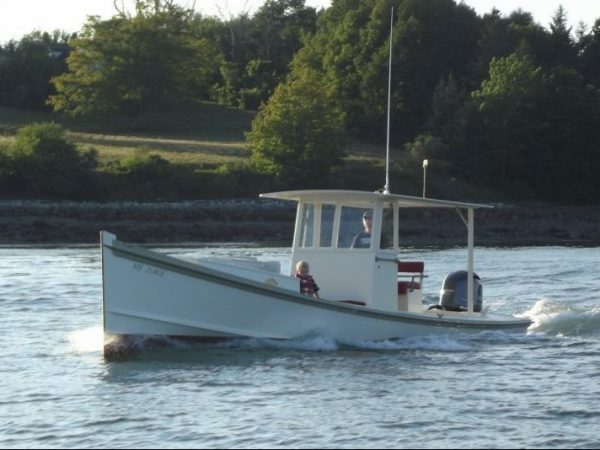 I saw my first Chesapeake scrape boat on a cruise to the Bay Area in 2011. 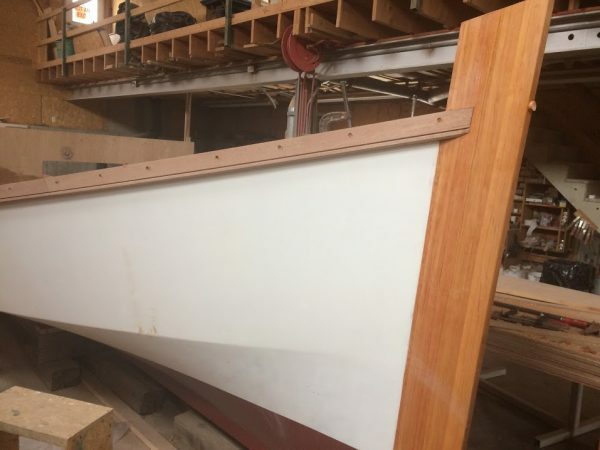 BAXTER was hauled out in a boat yard on Tangier Island, and I was struck by her handsome sweeping sheer and low freeboard. 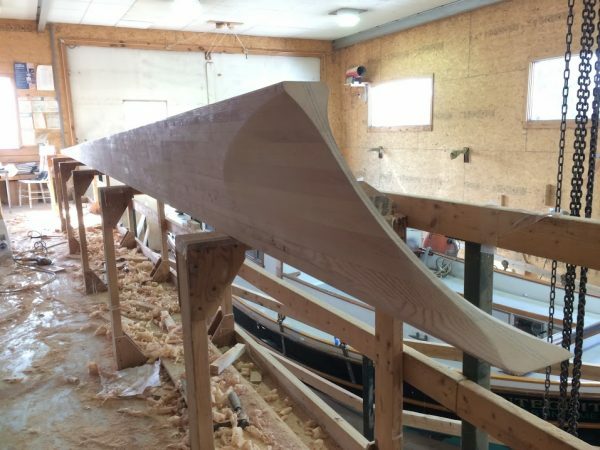 She had impressive beam, and was built using the typical deadrise crossplank construction. 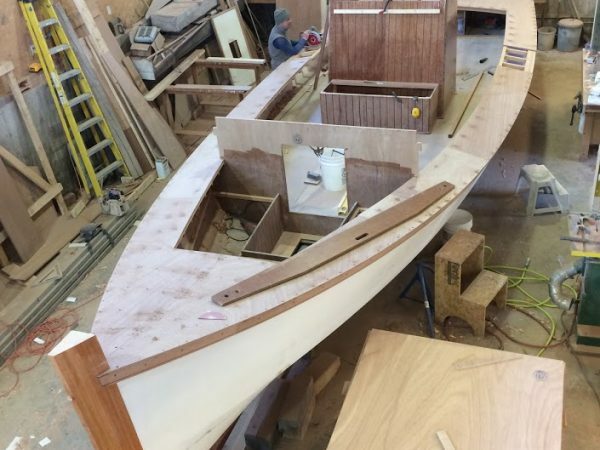 That same trip provided the spark that eventually became my Point Comfort 18 dead rise skiff, and kindled and interest in reinterpreting tidewater working craft in ways that would make them easier to build with modern materials. 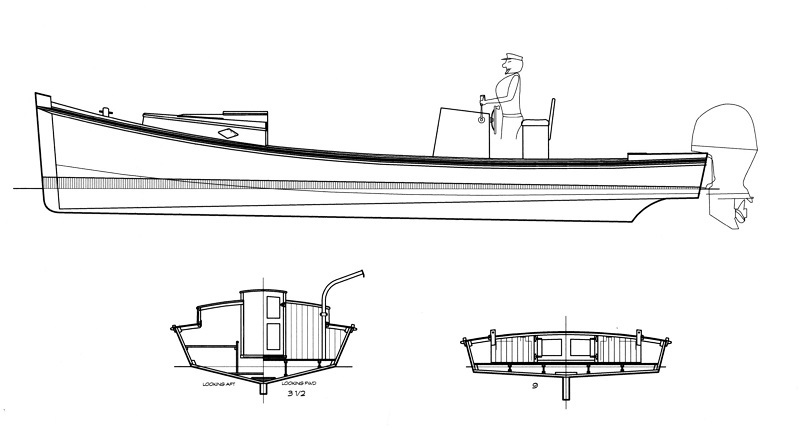 Most Bay workboats were built without formal plans, using methods and materials that are hard to come by these days. 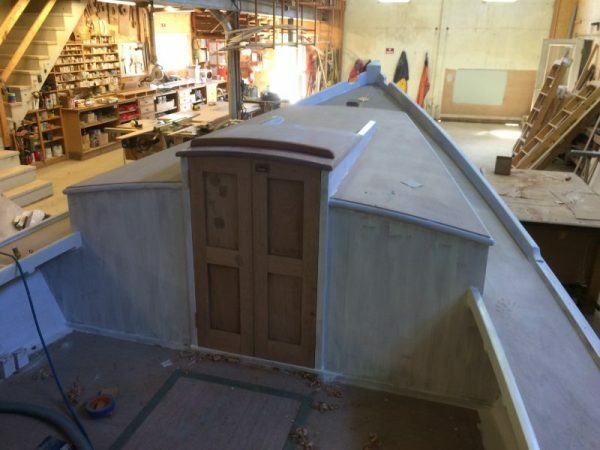 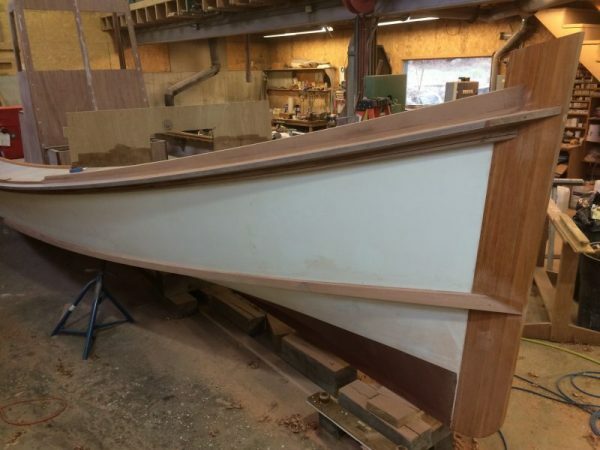 WoodenBoat’s 2014 article on Maryland scrapers caught the eye of my customer and patron Ted Okie, and this new design is the result. 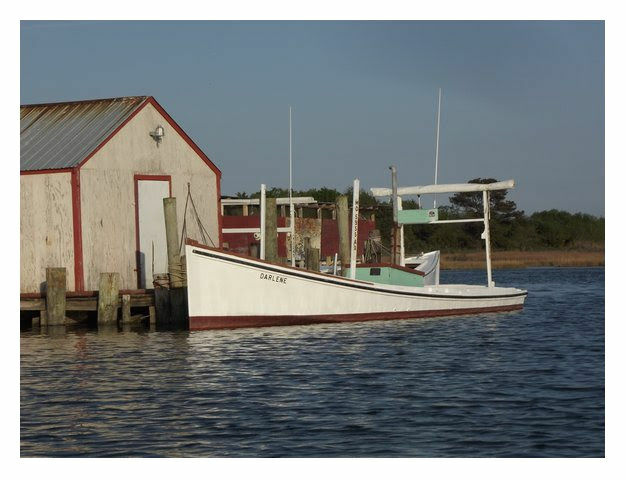 For starting parameters, we used the documentation of the Leon Marsh’s DARLENE, beautifully done by Paula Johnson and Richard K. Anderson for the Smithsonian Institute. 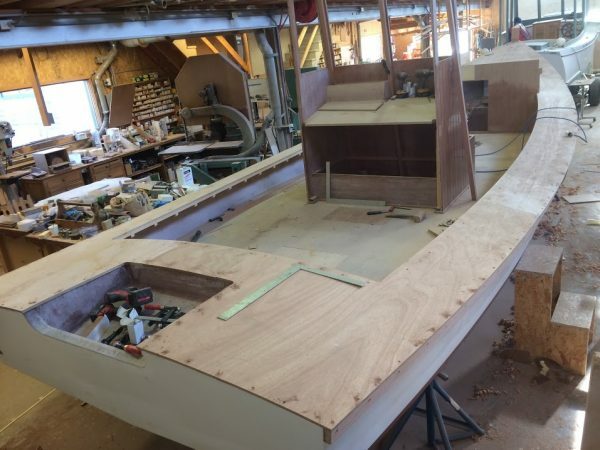 We decided on a little bit more freeboard all around, and Ted’s desire for outboard power required a bit deeper transom. 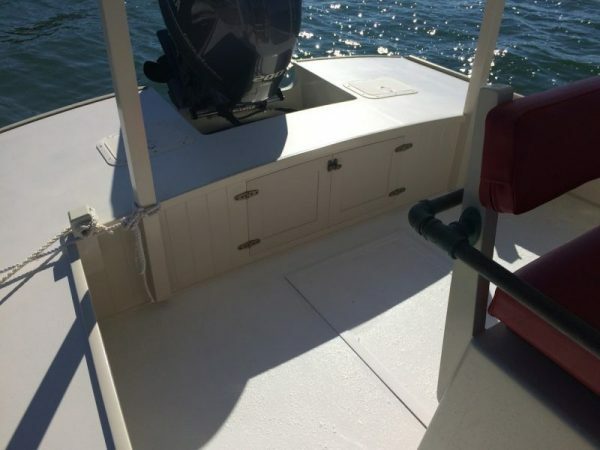 In the Point Comfort skiffs, I’ve found that by straightening the running lines of these boats, they can be made very easy to power to planing speeds. 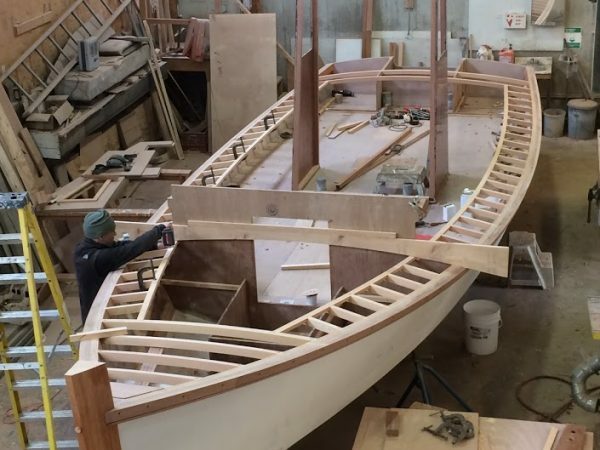 The original boats had massive construction, perhaps to counter the effects of thumping on the shallow bars where they typically worked (these boats are also know as bar cats). 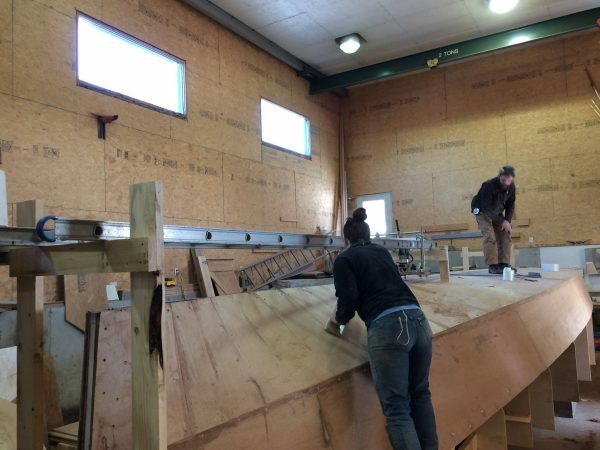 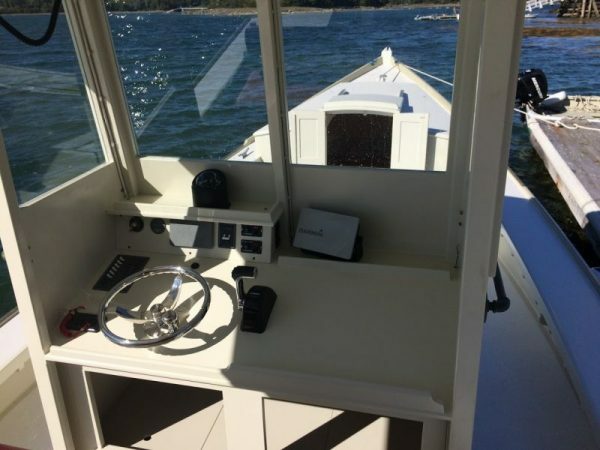 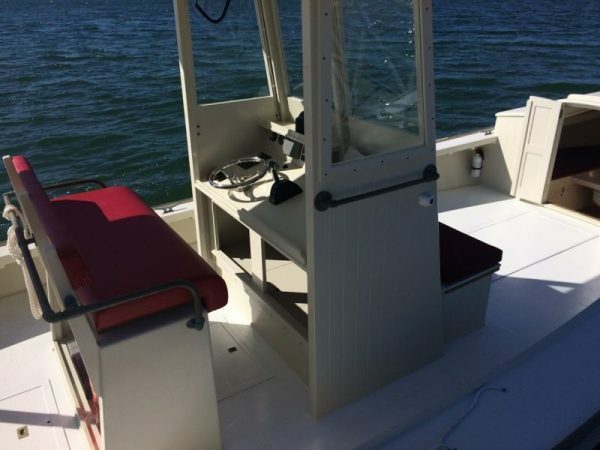 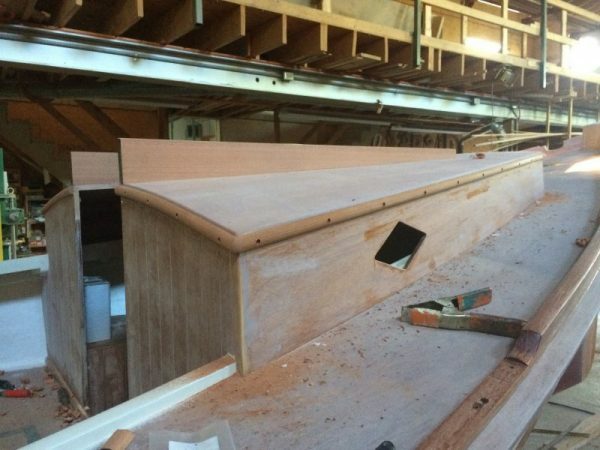 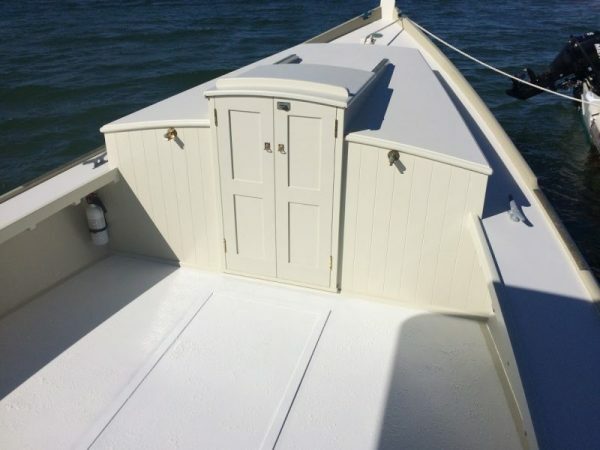 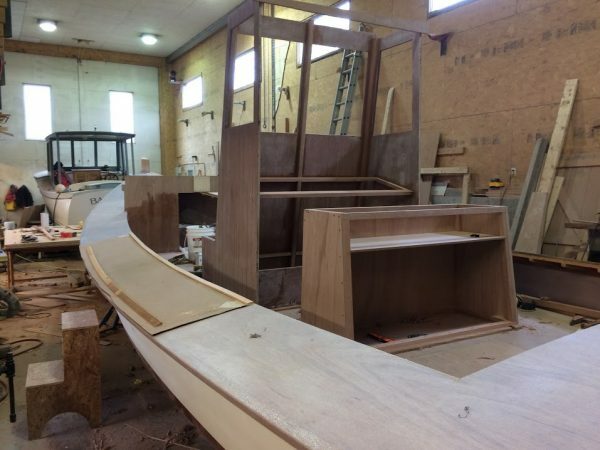 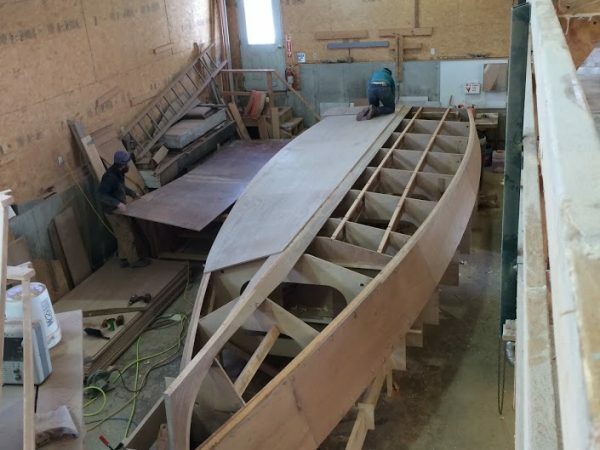 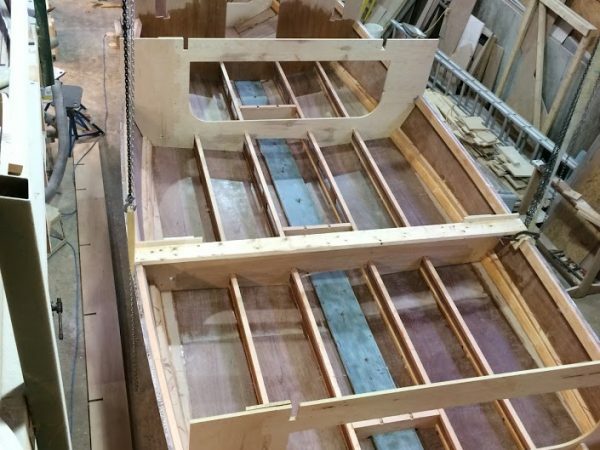 This boat will employ much lighter plywood construction, using the same forefoot planking methods as on the Point Comforts. 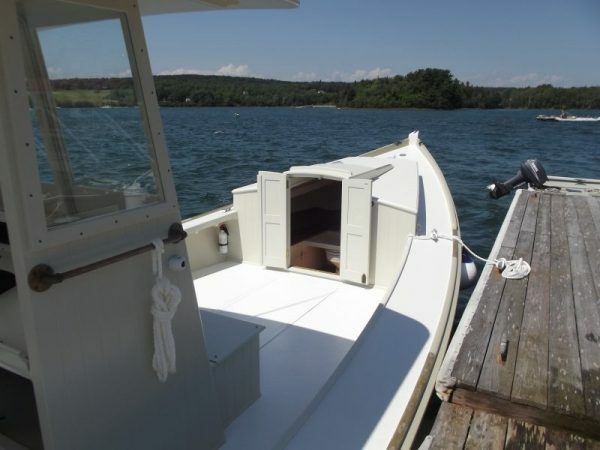 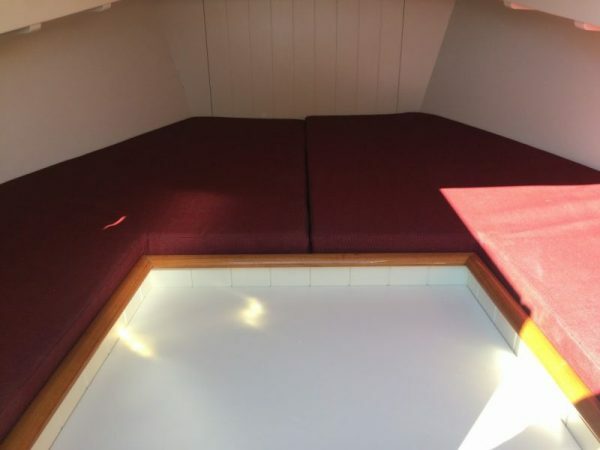 She also sports a little cuddy forward that will house a couple of minimalist berths and a head. 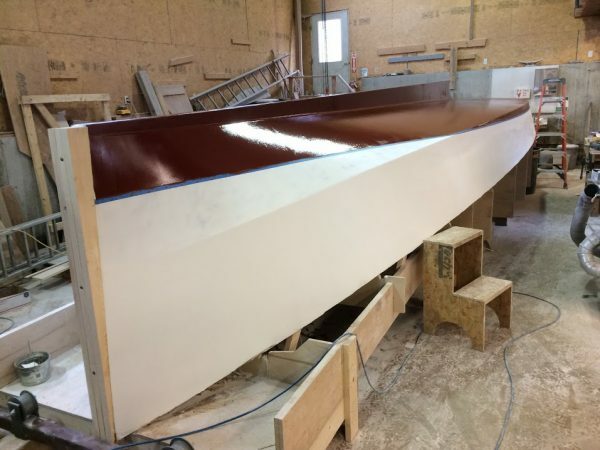 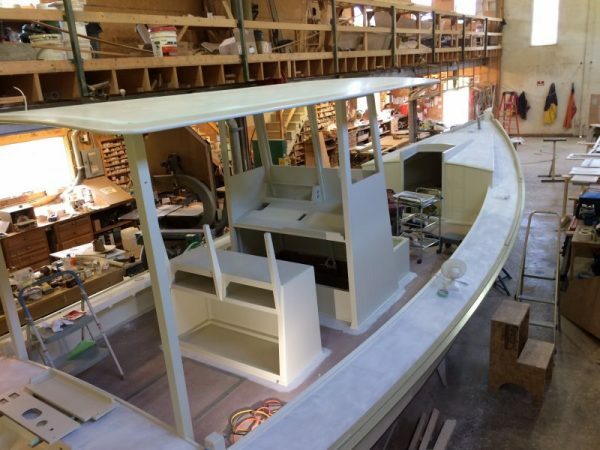 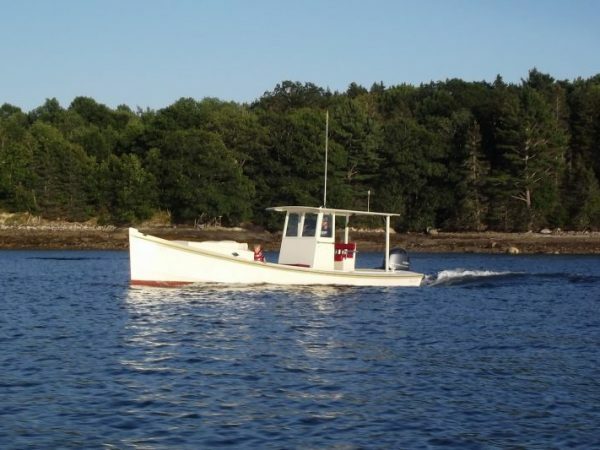 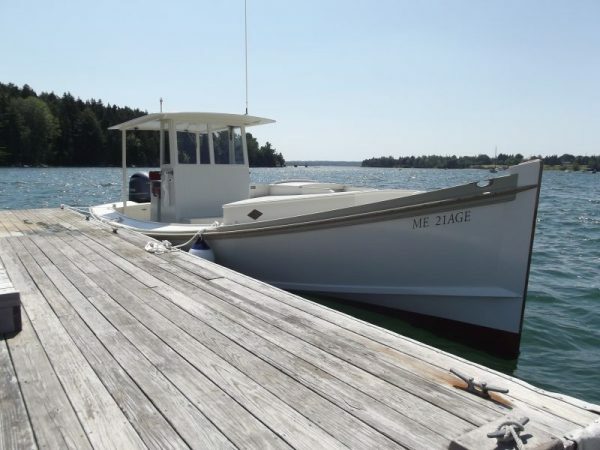 Although not the equal of the Down East type hull for smooth riding in a seaway, the Chesapeake deadrise hull is a world better than a flat bottomed skiff, and using the techniques we have developed, not much harder to build.